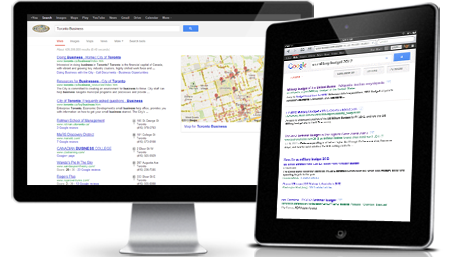 Expand your web presence with a professional, modern website. Working with a variety of small businesses and entrepreneurs, I understand the intricacies of developing an effective website that not only looks great but does the job of informing and attracting customers. Your website needs to answer your customers questions and make it easy for them to contact you; most importantly your website needs to explain what you do, why your customers need it, and how they can get in touch with you. 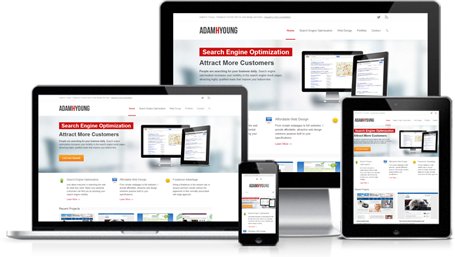 Whether you’re offering a product or a service, you need a website that delivers results. I build professional, modern websites that make you look great. If you’ve been on the fence about getting a website it’s understandable; perhaps you don’t know why you need one, you don’t understand the benefits, or maybe you’ve thought that a website isn’t critical in your industry. The truth is that the Internet is here to stay, and millions of people are going online everyday to find their services and products. 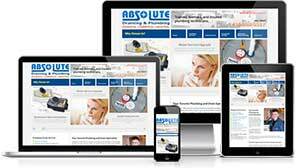 If your business is based on customers buying products or using your service, you will benefit from a website. Nearly 25,000,000 Canadians are searching daily for products and services. It’s estimated that 80% of Canadians access the web in some form or another, using a smartphone, laptop or desktop. On average they spend approximately 17 hours every week browsing the web and nearly 95% of people are online searching for product information. Word of mouth is still as powerful as ever. The web has not replaced word of mouth advertising, but it has become a way for people to check up on companies before they hire them. Let’s imagine one of your satisfied customers is happy with your product or service and they decide to tell their friend about you. Their friend wants to take a look online to find out more about you, but discovers you have no website. This makes it really hard for them to get to know you! There’s every chance they may stumble on your competitor’s website and decide to give them a try instead. Even worse is when they find an outdated website, an old web design that doesn’t support mobile devices and looks like it was made in the 1990’s can be even worse than no website. An old website can be just as bad as having a rundown storefront, this is not the image a business should be sending potential customers. A website is more than simply a lead generator, it displays a clear commitment to your business and therefore to your customers. A website gives a clear sign of integrity to potential customers, which helps your business succeed in all areas of marketing – whether people originally hear of you online or offline. Adam H. Young created a new website from scratch for Richmond Hill Animal Hospital. […] The end result is a lovely, professional website that draws compliments from customers on a daily basis. Finally, the hospital is starting to get business from its online presence. Without Adam’s work this would not have been possible. These days an incredible number of people are using smartphones; these devices have gone from being a luxury item to a necessity for a large majority. Roughly 70% of Canadians are going online using a mobile device, whether they are sitting at home or not. This is why it is incredibly important that any small business website supports a mobile device. For this reason, every website I build has mobile support built in at the core. It’s hugely important to have a website that will function well on a modern smartphone, whether it’s Android, iPhone, or any other smartphone. Search engine optimization is a topic all to itself, but the first place to start when building a website that ranks well is with the back-end. It’s critical that search engines are able to understand your site and find your content, this is important in the creation of any website regardless of whether you want to promote it via search optimization or not. All websites I built are search engine friendly to allow for easy access and processing of your content. Successful businesses have discovered how to adapt and grow to meet the needs of modern customers. Vital to their success has been the development of a modern, professional website that looks fantastic on desktops, laptops, and smartphones. The truth is that you can’t wait forever. The longer you wait, the less likely you are to be able to secure your presence on the web. It’s a fact that there are only so many domain names available, and everyday your competitors who are already online are gaining a competitive advantage over you. This is especially the case for small businesses, small business web design is incredibly important, ensuring that you maximize your businesses exposure to customers at all hours of the day. Hiring a freelance Toronto web designer can be a cost-effective way to ensure your business has it’s best foot forward, 24 hours a day. Regardless of your industry, a website will help you succeed.